PHOENIX, MD (June 1, 2008) � ALTIUS Broadband, a Maryland-based Wireless Internet Service Provider announced today that they completed the acquisition of Fleming Mason Electric�s Internet Division. The Fleming Mason network consists of high speed wireless, DSL and dial up customers. The integration of the Flemingsburg office and the Maryland office will begin immediately with each office acting independently on the network side but sharing all back office, administrative, billing and customer support functions. Both the Maryland and Kentucky divisions of ALTIUS Broadband utilize Motorola Canopy equipment and will continue to grow and service the business and residential needs of the states. During the initial phase of integration, all equipment will continue to be the Motorola Canopy 2.4 Ghz and 900MHz Platform for distribution to customers.� Additionally, Motorola�s Canopy 5.8GHz backhaul technology will be used to link each of the 25 towers in the 6 county coverage area of Fleming, Mason, Bracken, Lewis, Nicholas and Bath Counties. "The timing of this acquisition could not have been better for us" said Jim Connor, president of ALTIUS Broadband. "Our partnership with Fleming Mason as a supplier on the distribution side of our business (altiuscomm.com) made for a very smooth and friendly transition. Our Kentucky division will serve as a model of communities throughout the United States on expanding broadband services in some of the most remote areas to ensure their connectivity." Headquartered in Phoenix, MD, ALTIUS Broadband was established in 2005 to capture the pent up demand of rural business and residential customers of rural Maryland. The company maintains a presence around the world through a network of customers and integrator partners. Founded by Jim Connor, an industry executive with considerable expertise in wireless technologies, ALTIUS Broadband will continue to grow and improve its networks and will seek additional acquisition opportunities. 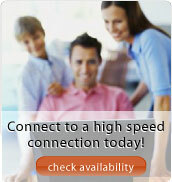 Additional information is available online at http://www.altiusbroadband.com.